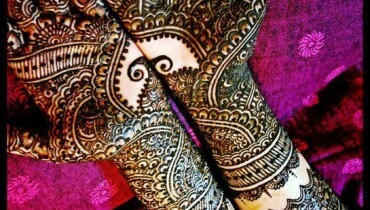 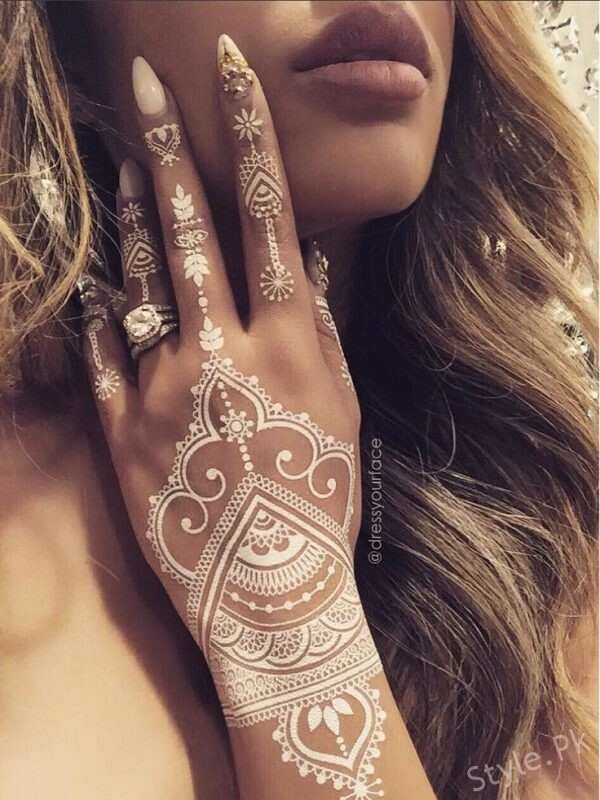 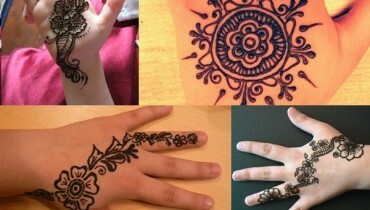 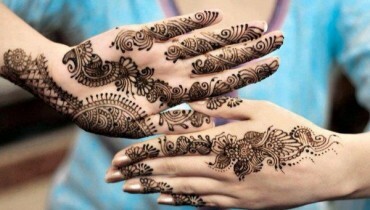 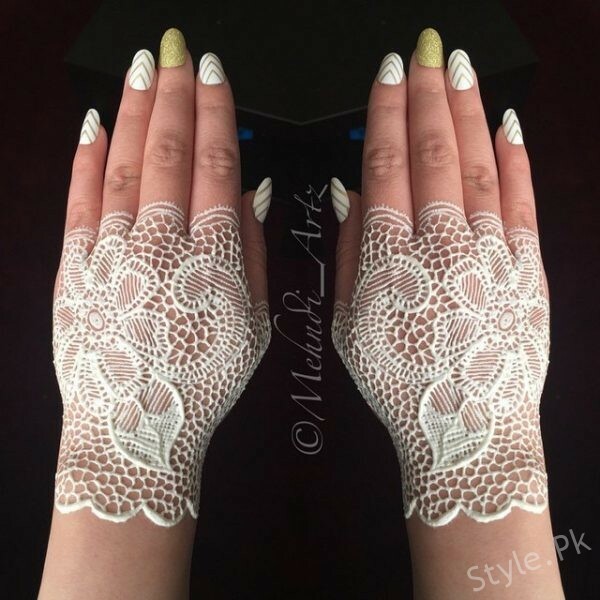 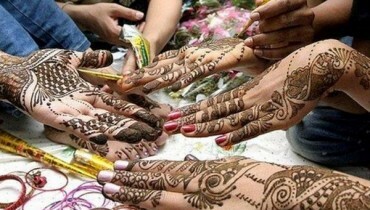 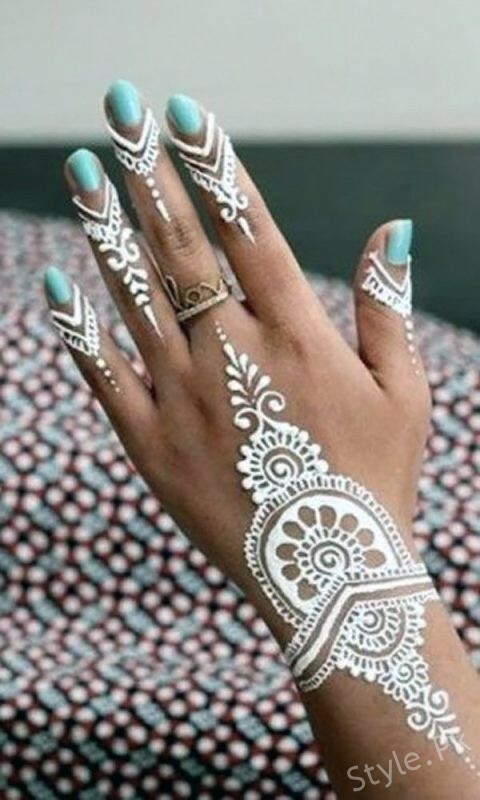 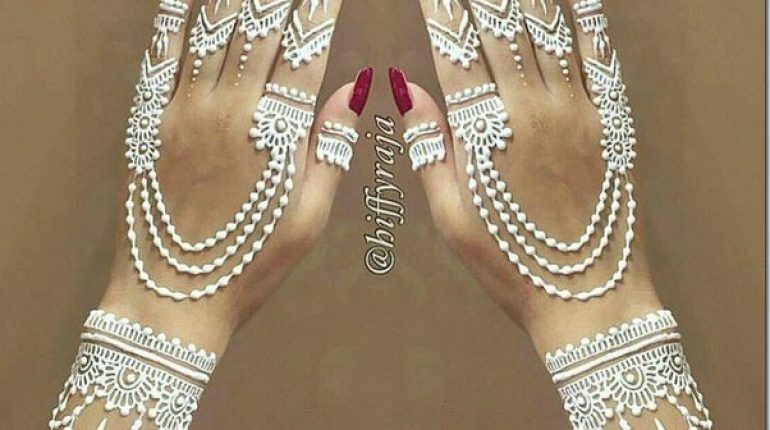 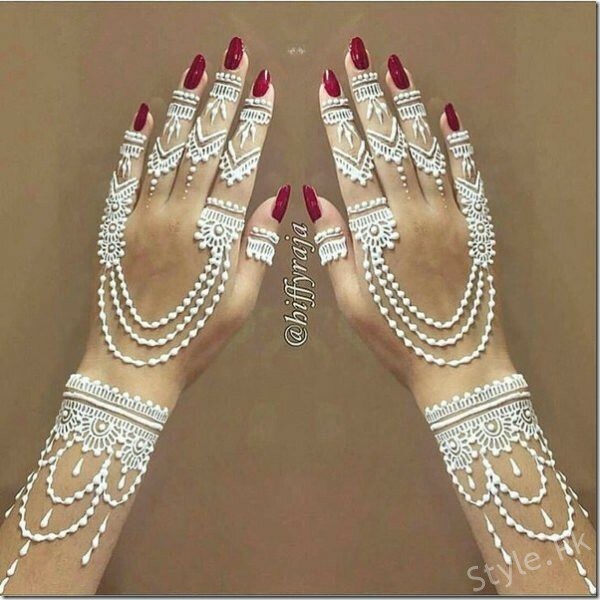 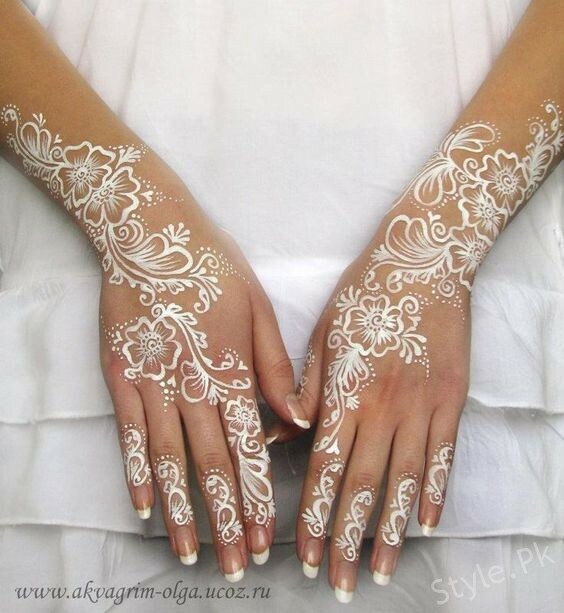 The combination of White Mehndi with dark colored nail paint looks amazing. 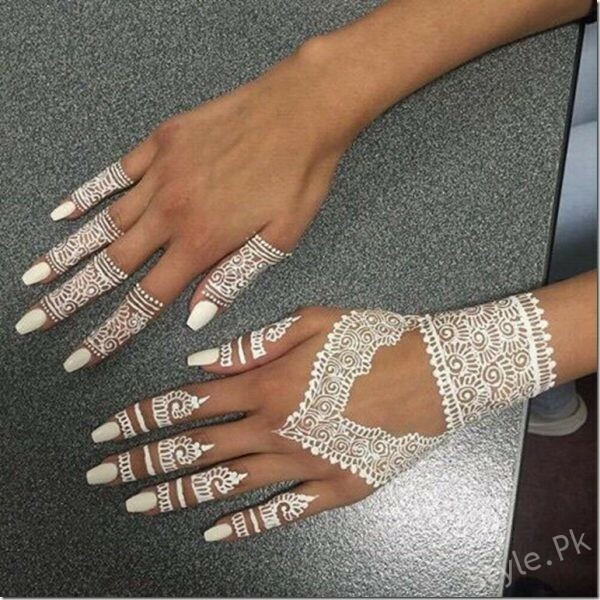 Transparent Nails also go well with White Mehndi. 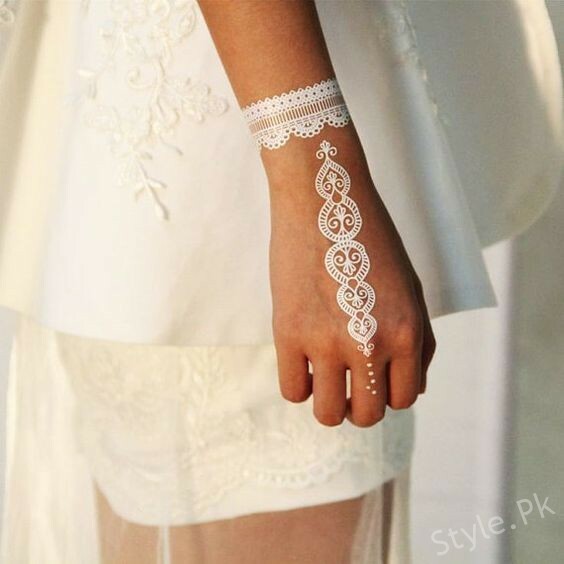 This Floral Mehndi is uber chic. 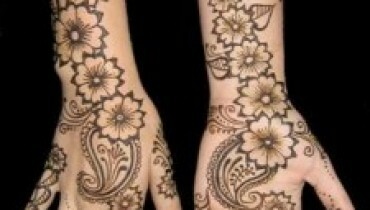 Combination of florals and geometric pattern makes an amazing design.